Max Dale Stierwalt, 81, a long time Hebron resident (since 1957) passed away, Monday, September 24, 2018 in Hebron, Nebraska. Max was a hardworking, tough, caring man. He would help anyone without asking for anything in return. He was born to George W. and Myrtle (Hatten) Stierwalt on April 14, 1937 in Ruskin, Nebraska. Max quit school in order to help his family, working a variety of jobs at a young age. He was married to Phyllis Rae Issacson on September 27, 1954 (she was 15 and he was 16). They were married 60 years until her death in 2014. They raised three daughters together. Maxed worked several jobs at once to support his young family. He worked at the Hebron City Cemeteries (more than 50 years), Telephone Company, and as a City Cop at night. During his “spare time” buying houses in Hebron, moving his family in to a house while he remolded another house, then selling it to move on to the next house. Max did this in approximately 26 houses. His family learned to move very quickly, even if that meant moving a decorated Christmas tree in the back of a pickup truck. He had many hobbies, but his favorite was buying and selling vehicles. His family would take bets as to how long before he trades it. Max enjoyed his 8 grandchildren and 11 great-grandchildren. Always a joker, removing his dentures until they laughed, did not shave so he could rub his stubble against their face until they squirmed. As they got older making jokes and teaching them about life and instilling a sense of pride with a hard days work. Max is preceded in death by his parents George & Myrtle; his loving wife and best friend for over 60 years, Phyllis; brother Danny; brothers-in-law Jack & Donny; and nephew Brad. 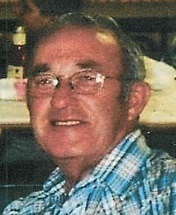 He will be forever remembered by his daughters: Peggy Sandersfeld (Rob) of Beatrice, Cindy McGinty of Juanita, and Bonnie Bures (Greg) of Geneva; grandchildren: Matthew Johnson, Hebron, Cathy Krumme (Brandon), Plymouth, Jeremy Howard (Ashley), Lincoln, Dannielle Beringer (Nate), York, Debra Lundberg (Casey) Lincoln, Kiefer Bures, Geneva, Gary McGinty (Felicia), Juanita, Spencer Bures (Kearsten), York; great-grandchildren: Julie Johnson, Callie Krumme, Tregan Johnson, Reece Johnson, Brenden Krumme, Tristan Krumme, Madison Krumme, Alicia McGinty, Maelee Bures, Tyler Hendrickson and Jordan Hendrickson; siblings: Bill Stierwalt (Faith), Beatrice, George Stierwalt, Jr. (Lois), Superior, Sue Renter, Valley, Mary Wheland, Nelson, and JoAnn Rothchild, Superior; several nieces and nephews; other relatives and friends. Max’s wishes were for direct cremation followed by a private family inurnment in Hebron City Cemetery. Memorials in his honor could be made to the American Cancer Society c/o the funeral home.